Another statue was found but is it genuine? Is it difficult to figure out whom to hand it to? After Dr. Zahi Hawass announced the robbery of 8 statues from the Egyptian Museum, 4 of them were found (you can check our previous posts) but also many reports of statues found and when a committee was formed to check the statues, it appeared to be fake including a 150 kilo grams statue was found by the Nile bank in Cairo (not far from the museum). One of the approved genuine statues was found by one of the protesters (16 year-old student) on the ground by a rubbish bin (Full story here) and the statue was handed to the Ministry of Antiquities. So far that’s what should be done in such a situation but on Friday 25th February the daily most respected and known newspaper (Al-Ahram) on the last page there was a bit of news about a young engineer who work for a petroleum company who was one of the protesters at Tahrir Square near the Egyptian Museum and he found a statue on the ground and to protect it, he took it home and next day he consulted his boss at work about what to do with the statue and for 3 weeks of not knowing what to do. Then he got advised to hand the statue to the newspaper which he did and he said he feels it is safe now. 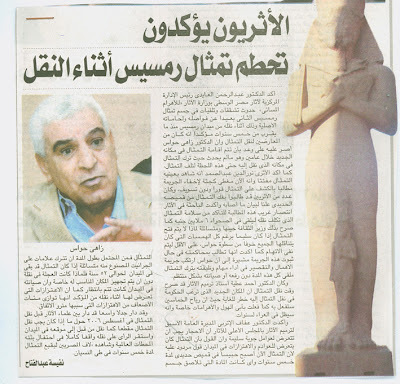 The editor also mentioned that the statue is in the newspaper headquarters and they will wait Dr. Zahi Hawass to form a committee to go and receive it. 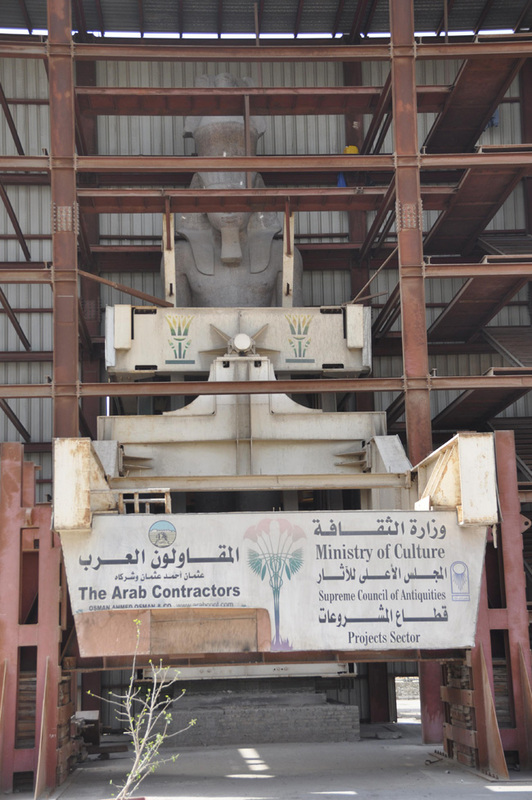 Recently some information stated that Ramses II statue had been damaged. 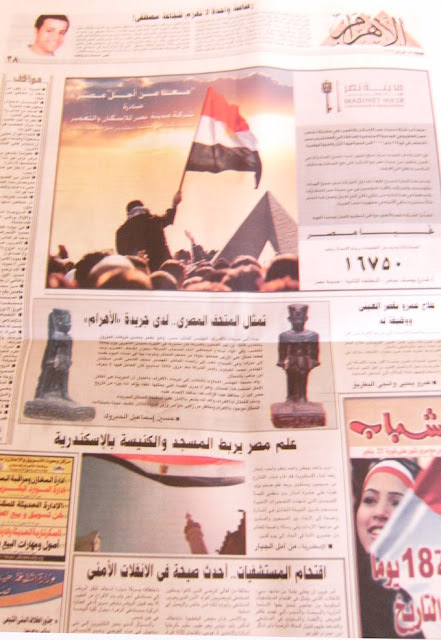 The statue that once stood in front of Cairo train station in the square named after the Great Pharaoh and was moved to the site of the Grand Egyptian Museum in August 2005 in a process took nearly 20 hours and it was aired live on many TV channels around the globe. After what was published in local Egyptian newspaper on 20th of February as an Egyptologist said that the statue had been damaged due to relocating and it was better off in its previous location as the vibrations from the underground (subway) were of less danger to the statue than the vibration from the highway near its current location. Dr. Zahi Hawass said that he received a detailed report from the projects department assuring the statue in a very safe state and there is no sign of recent damages and it receives regular maintenance monthly.